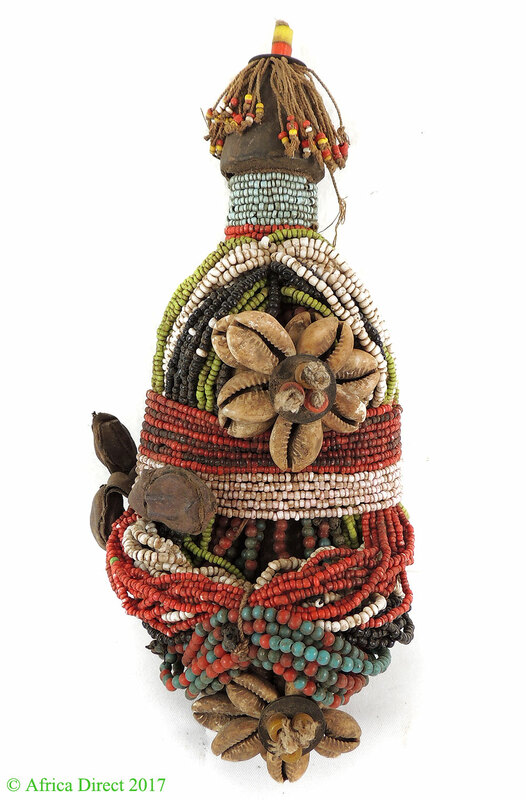 Additional Information: A superb Fali doll with wonderful variety of beads. 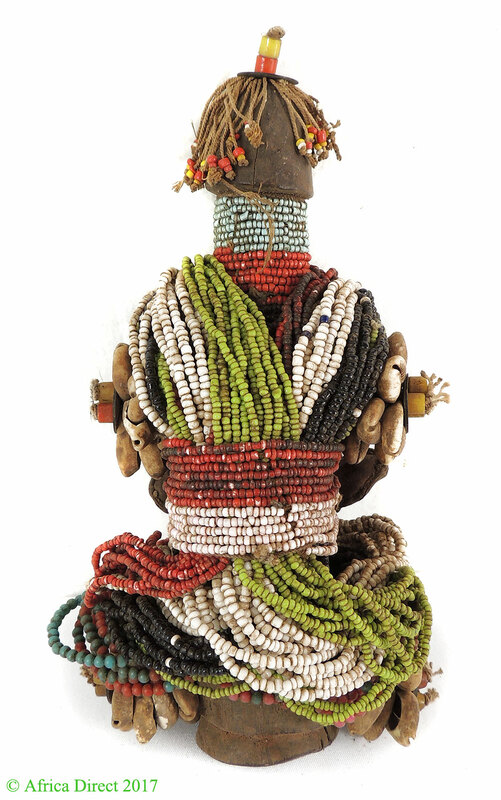 "In Cameroon, when a young Fali man becomes betrothed, he makes a doll(ham pilu) from wood and decorates it with hair, beads, and other small objects. He then gives it to his fiance, who wears it in a baby carrier on her back. 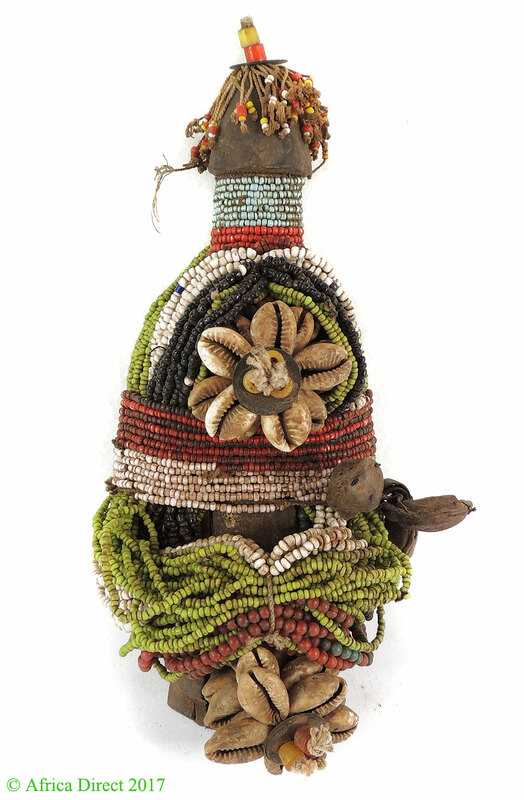 The doll is a symbol of their marriage commitment and represents their future child. The man gives the doll the gender that he desires for his first-born. The young woman cares for the figure until the promised child is born; at this point, the couple carefully stores the doll away. 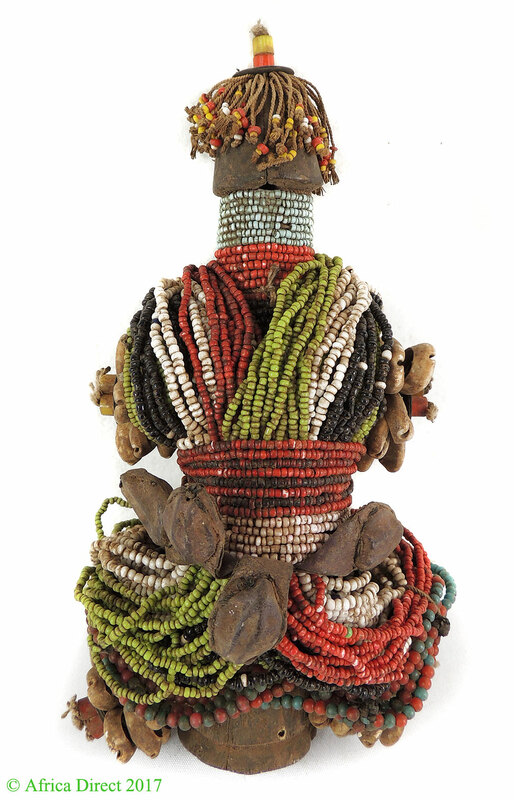 "Fali doll- A good example of this rare doll can be seen on the cover of "ISN'T S/HE A DOLL,PLAY AND RITUAL IN AFRICAN SCULPTURE," put out by UCLA's Fowler Museum of Cultural History.